Three-polar, four-polar and six-polar circulated radio-frequency system could produce heat with columnar distribution in subcutaneous tissues, which could fully release triglyceride inside the fat cells. Triglycerides will be cracked into fatty acids and glycerinum under the action of lipase, and discharge to the outside world as the metabolism. Especially powerful intelligent system can realize function of positioning fat cells and releasing certain amount of triglycerides, so as to achieve the effect of positioning, quantitative weight losing and reshaping. 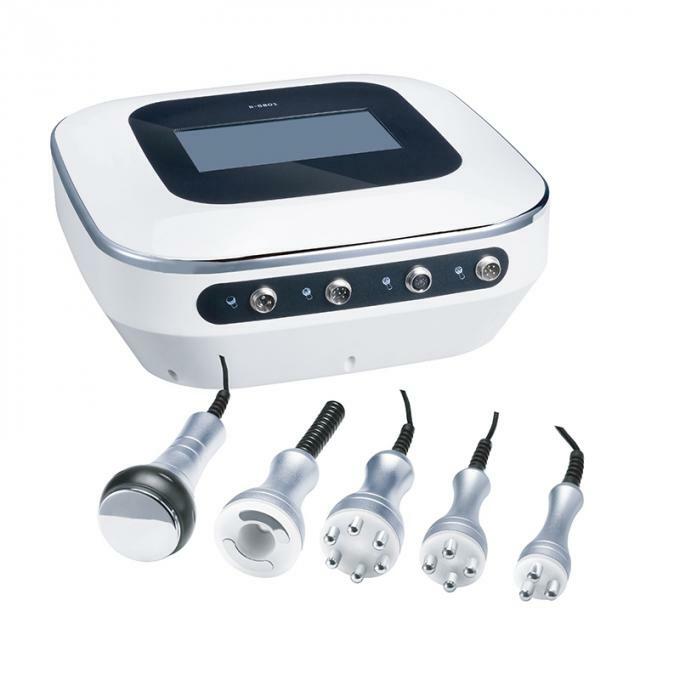 RF releases radio frequency energy, which can directly effect to the dermis through skim epidermis, and directly generate heat inside the body. When the dermal tissue is heated, collagen fibers will produce immediate contraction to stimulate more secretion of new collagen to fill atrophic and losing collagen. With collagen in dermis are produced and rearranged constantly, soft support of the skin is presented, wrinkles are filled, and sagging skin become full, firm, and elastic. China Good Quality Salon Beauty Machine Supplier. Copyright © 2017 - 2019 salon-beautymachine.com. All Rights Reserved.